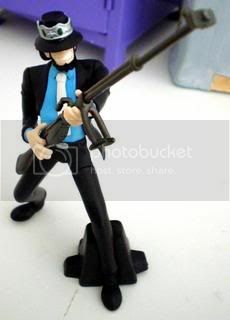 I got my Jigen (from Lupin III) figure in the mail today from eBay xD (nerd moments ftw) IT'S SO EPIC. I love it so much 8) !!! It's pretty small but it's EXCELLENT.